A friend who came over for dinner announced he would bring a late harvest Sauvignon Blanc, a Sancerre to be more precise. 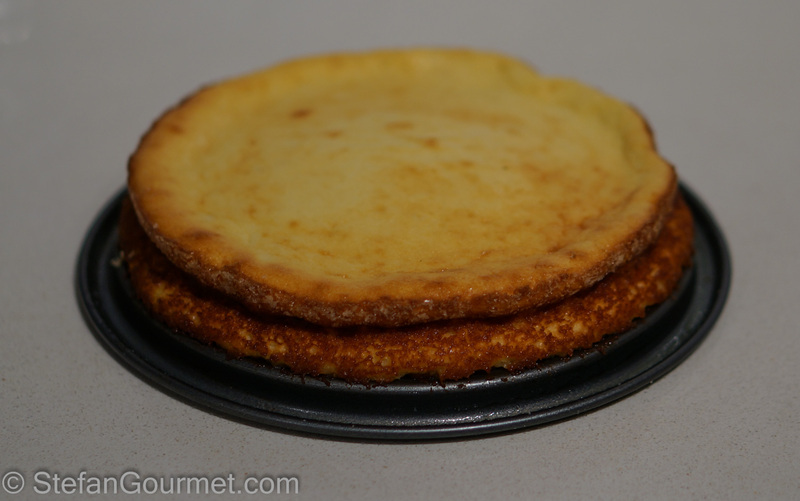 This is the dessert that I came up with to accompany it: cheesecake made from goat cheese. Goat cheese goes very well with regular dry Sancerre, so I figured a cheesecake made from goat cheese would work well with the sweet variety of the same wine. And so it did. 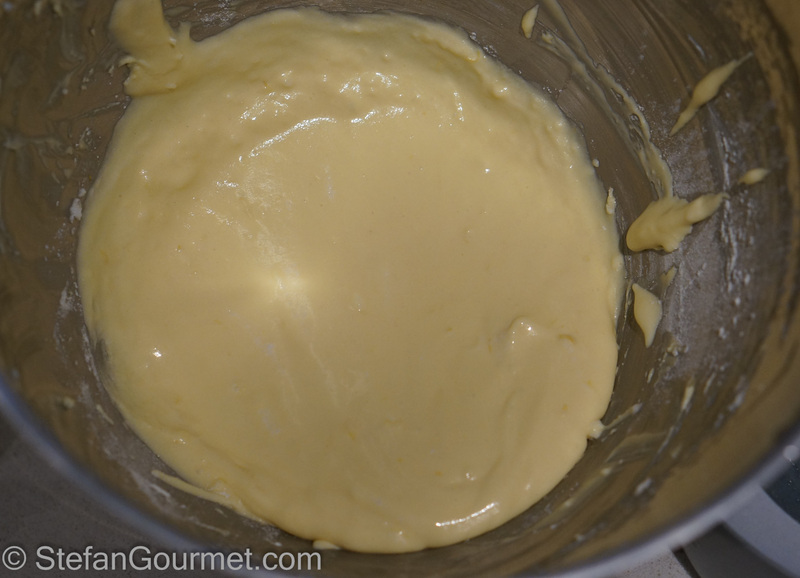 I adapted the recipe from this one. 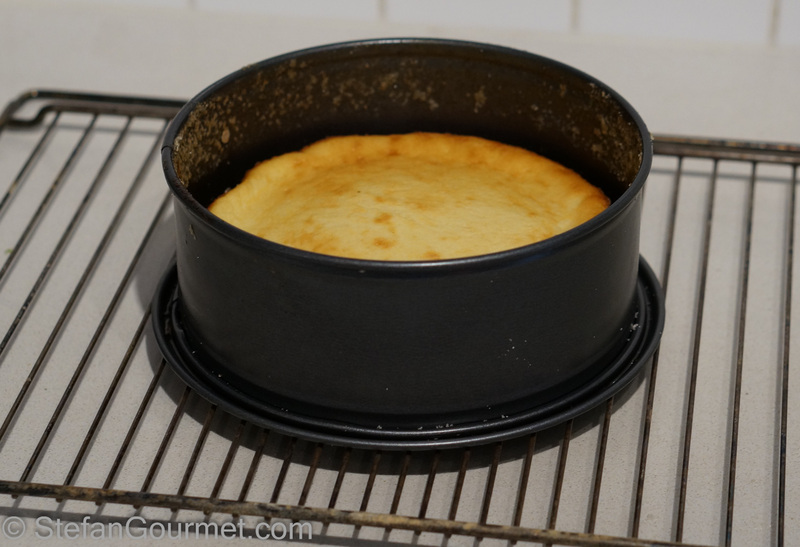 It is a nice simple cheesecake without a crust and quite light for a cheesecake. 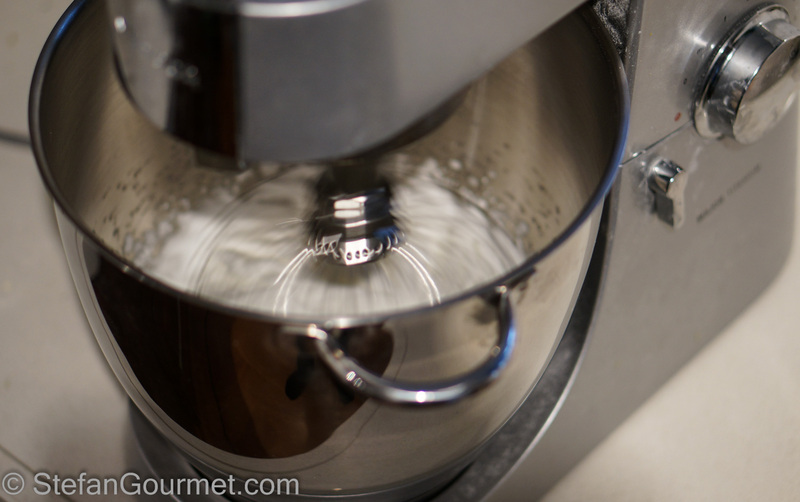 Beat the egg whites with a clean balloon whisk in a clean bowl until they resemble snow. 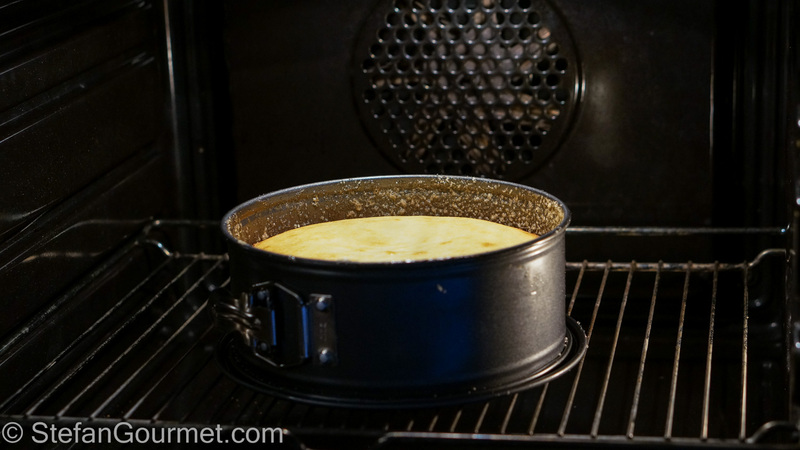 Preheat the oven to 175ºC/350ºF (fan forced). 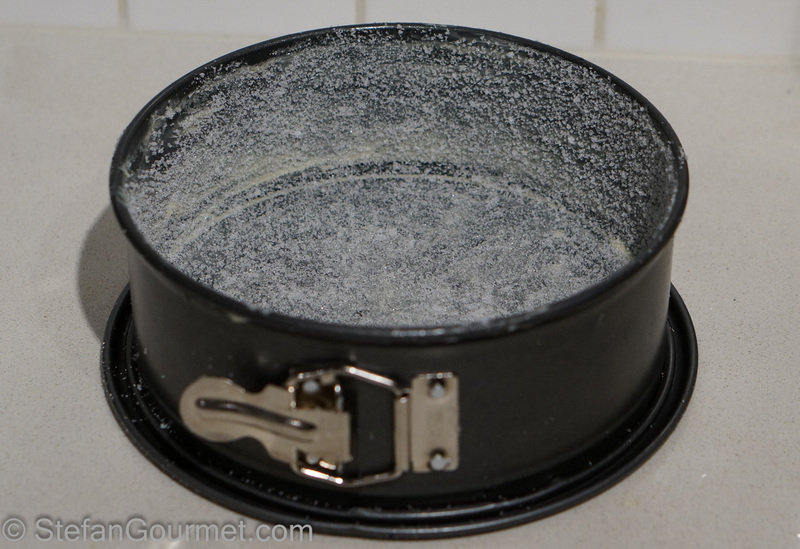 Butter a 20 cm (8 inch) cake pan and coat it with sugar (take the sugar from the sugar to be used for the cake). 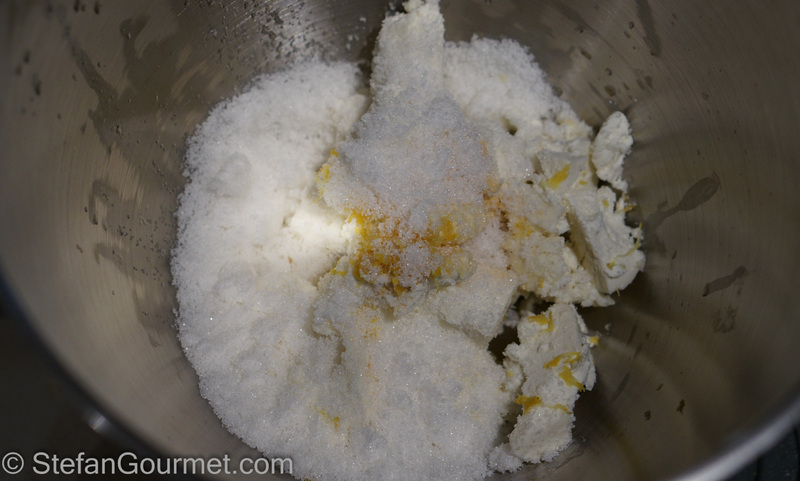 Combine the goat cheese, lemon zest, lemon juice, vanilla extract, and sugar in the bowl of a stand mixer. 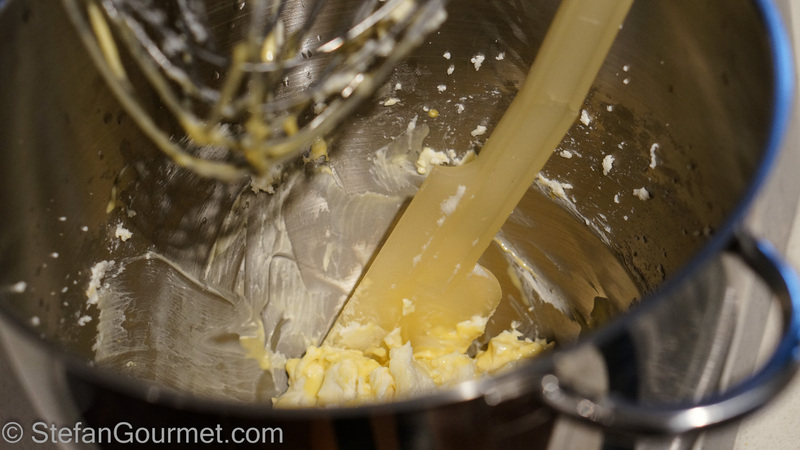 Mix (with the balloon whisk or the paddle) until creamy. 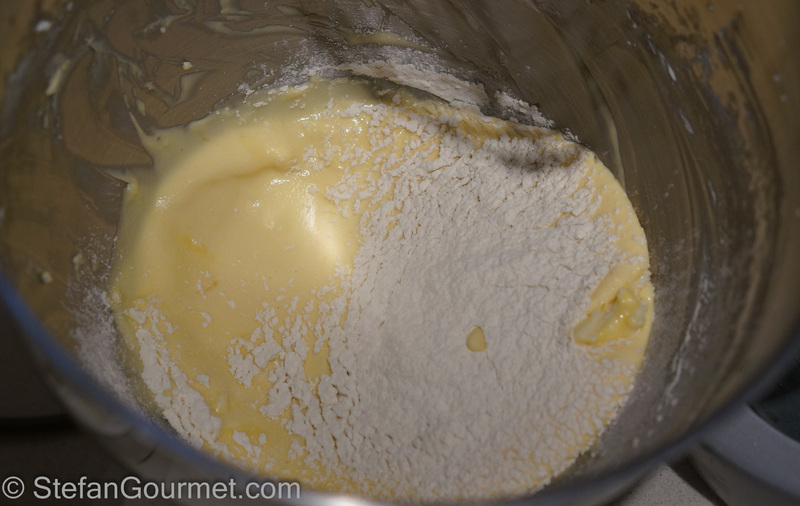 Continue to mix, scraping down the sides of the bowl as needed. 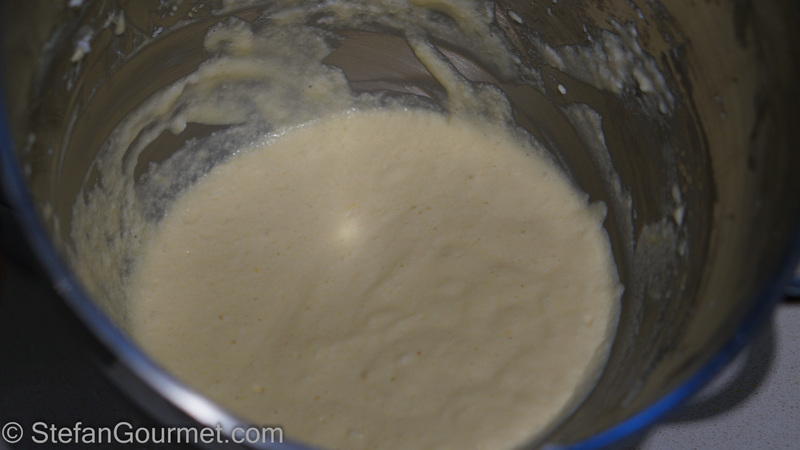 Continue to mix until the flour has been incorporated. 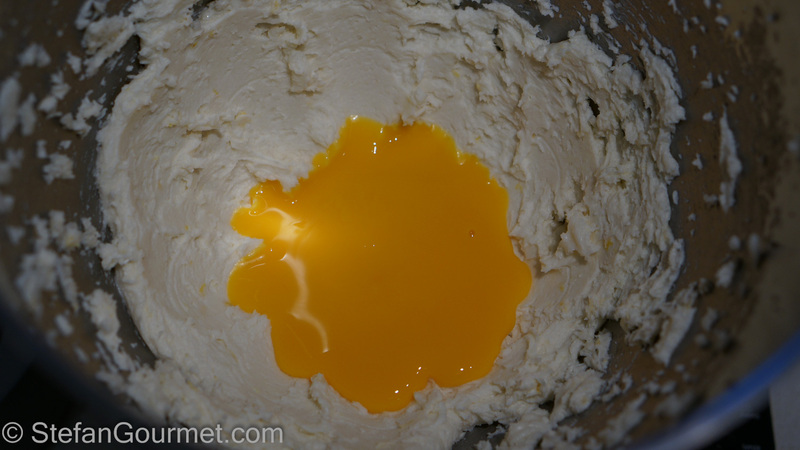 Carefully fold in the beaten egg white in three additions with a rubber spatula, working from below. 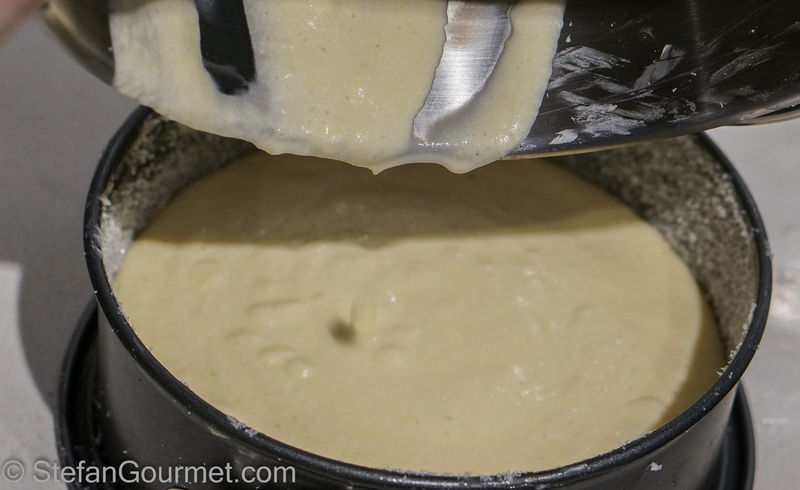 Try to keep the mixture as airy as possible. 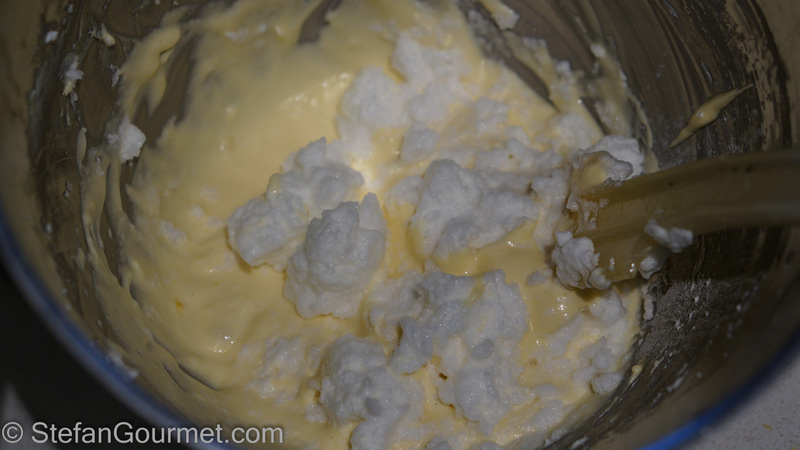 Keep folding until the egg whites have been incorporated completely. The sides of mine looked a bit weird, but it tasted just fine. 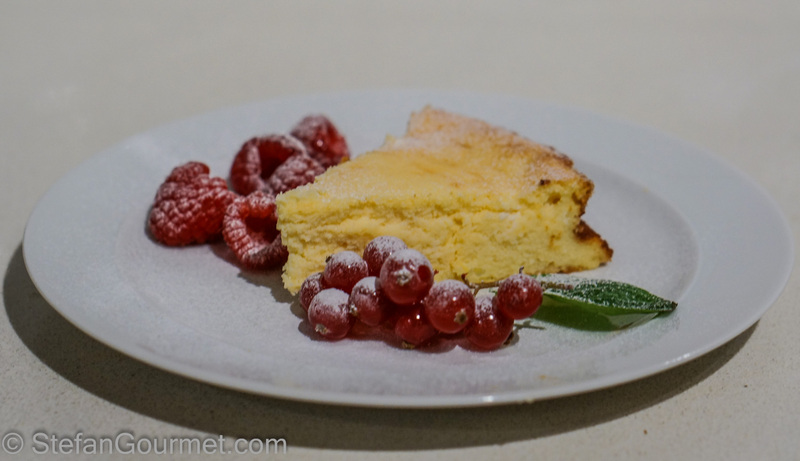 Serve with red berries, a mint leaf, and sprinkle with icing sugar. This works well with a late harvest Sauvignon Blanc, or Moscato d’Asti. 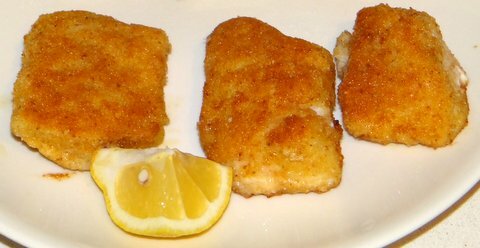 Like so many things, homemade fish fingers are so much better than store-bought! They are quite easy to make and you get to control what goes in them. So only the freshest fish, homemade breadcrumbs and an organic egg. Since you will use fresh fish rather than frozen, the fish will be that much more flavorful and succulent. 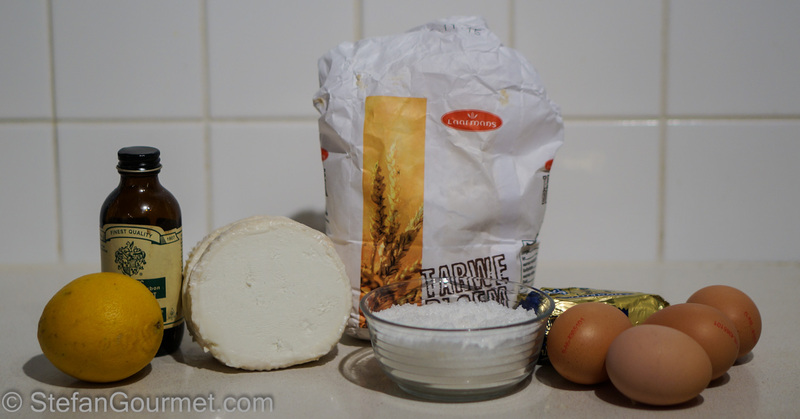 Gli ingredienti principali sono formaggio chèvre (formaggio francese di latte di capra), uova, zucchero e solo un pochino di farina. Il succo di limone, la buccia di limone e la vaniglia sono per dare più sapore alla torta. No idea what first guy said, but I think this will be delicious with my troll cream, the recipe for which I’m posting on Tuesday. I’ll try it next week for hubby’s birthday! come formaggio hai usato la ricotta o altro simile? Un formaggio di capra francese (“chèvre”). È differente dalla ricotta perché è stagionato per qualche settimana. I love this Stefan. There are so few of this type of dessert that I can serve to my lactose intolerant daughters. This goes on the list.